Okay so the main problem here seems to be focus. Yeah your curve is bad, but usaDiabetic said enough about that. Imma talk about cards. Also I'm linking my deck at the bottom of this comment because it's very similar. Borrow what you will. There are a lot of cards in this brew that I looked at and just thought 'what are you doing here'. Whether they didn't fit the theme or were just outright bad, these are some cuts I might suggest for taking USA's and my advice into account. Crystalline Crawler. It feels kind of useless. Like, what is it there to do? It's either a subpar mana rock or a weak attacker/blocker. Guardian of the Gateless doesn't interact with +1/+1 counters, is 5 mana, and really isn't great in general. Either you block a bunch of stuff and it dies or you just use it as 2 blockers, and there are much better things to do with 5 mana. Majestic Myriarch, while powerful, is not a card for this deck. 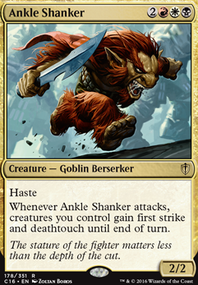 Once again there is the lack of interaction with counters and also it's just a big dumb creature with a lot of keywords. At 5 mana? Not worth it. Noosegraf Mob will die far too quickly for any counters to be placed on him. 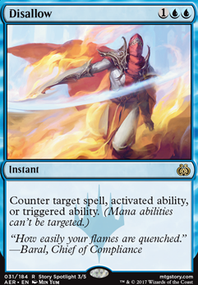 In commander I'm casting 5 spells every turn by the time you're casting this guy. Reflector Mage, while a good card in general, has no place in this deck. Once again, why is it here? The same is true for Reveillark. And for Vizier of the Menagerie. And for Nissa, Steward of Elements. And for Haunted Cloak, Inspiring Statuary, Panharmonicon, Paradox Engine, Approach of the Second Sun, Migratory Route, Nissa's Pilgrimage, Spitting Image, As Foretold, and Ancient Excavation. All of these are good cards, some really good, but their are other decks that could utilize them better. They're just goodstuff in this deck, where elsewhere they could really be something! Incremental Growth nay not be worth it for 5 mana. There are much better plays for that cost. If you want board wipes for creatures I would suggest Wrath of God and/or Divine Reckoning rather than Sublime Exhalation? 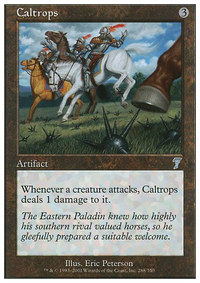 And once again, after you put in some ramp, I have a ton of suggestions for replacing suboptimal cards here. If you'd like me to go into more detail on specific all-stars I will. If I came off as really harsh I'm sorry, this actually looks like one of the first commander decks I ever built myself so I felt like I had to comment, for nostalia's sake. Thanks for bearing with me through this behemoth of a comment, and happy brewing. How does Transcendence kill someone? You can only enchant yourself with it, so I can't see how it will affect other players unless you Donate it (maybe I'm just not understanding a rule here). Actually, if you want to go for the meme, you could actually run Donate, which also combos with your Celestial Dawn to stop a non-white player from producing any colored mana (because any of the white mana they would produce with their new plains would instead be colorless, as white is outside of their commanders color identity). 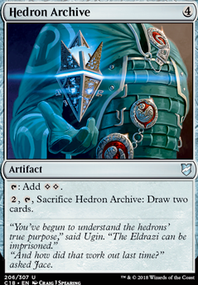 If your play group plays lots of Voltron, Fumble could be good, although with your low creature count you would likely just be giving those equipment to different player. If you consistently play with 4 players, Coastal Breach, Curtains' Call and Sublime Exhalation are all decent removal spells. Maybe I'm biased towards land destruction because a lot of the time when I use it, my friends have ramped out stupid amounts of mana, and then the rest of their deck is thin on lands and they have an extremely hard time dropping lands each turn from that point on. 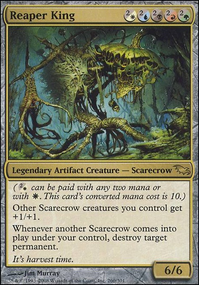 I also mainly run mass land destruction in my Nahiri, the Lithomancer deck once I've got some type of board set up, so I get how it works in a more aggressive shell, whereas you're using it in a control sell, so I might not understand how it would feel in that type of deck. Still, I'd recommend you give it a shot; a board wipe like Supreme Verdict and Armageddon at 8 mana essentially resets the game, and with your decks land count I imagine that you'll have an easier time recovering from this than your opponents (as in, you will likely be able to drop lands more consistently than they will). I stil don't know if Darksteel Forge is worth it. Does the 9 mana investment usually pay off? Like 11/14 of your artifacts mana rocks, and by the time you can cast a 9 mana spell you probably aren't in dire need of mana rocks anymore. On the other hand, if your playgroup does run a lot of multi-artifact nukes, are you really dropping Darksteel Forge in time (before the artifact nuke) to save your mana rocks that have come out? But you would know how effective its been better than me so if you think its pulling its pretty heavy weight, then I'm all for it. Sun Titan is a pretty good creature as well, can grab back any destroyed artifacts or fetchlands and such. Does colfenors plan do anything most of your games? I'm sure Phyrexian Arena would do more work. Just noticed its yet another great card to use with Donate though l o l.
Just noticed you have Propaganda but not Ghostly Prison. Any reason why? Hushwing Gryff is also as good as a counterspell sometimes, if your group runs a lot of enters the battlefield creatures. Thats all I got for now! RobotOwl you might also have a more expensive and well-refined four colored landbase, I am sure you can imagine that in a landbase with only 16 possible white producing lands, which is the case with this deck, that it would be difficult to consistently find two if you are attempting to cast Wrath of God turn 4 or 5 against an aggro player. It is much easier to only get 1 white for Sublime Exhalation. I'd almost act as if it was two cheaper than a Supreme Verdict in this deck for that reason alone. This deck is the topic at hand, not experience for a card in an entirely different deck. RobotOwl in 4 players, it will cost , compared to a card like Day of Judgment or Wrath of God that costs . Since this deck is 4 colors, fixing for that kind of mana earlier on is harder. Sublime Exhalation is actually the best board wipe except Toxic Deluge or Cyclonic Rift for this deck, just because it is cheaper than Austere Command and twice as easy to cast as Supreme Verdict. Hi! 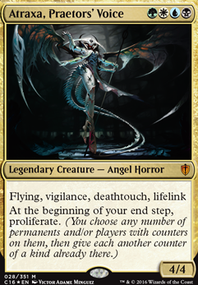 I have the Atraxa precon also, but I purposely have not updated it because I only use it against newer people or other precon decks. If I took out exactly one card though, it would be Sublime Exhalation. Unless you are casting it for 3 or less mana because you are in a 5+ player game, literally any other board wipe is better. 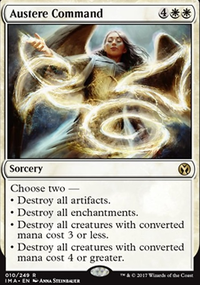 I would recommend Cyclonic Rift and Toxic Deluge, but since you mentioned that you try not to spend more than $10 per card Supreme Verdict and Austere Command are really good choices as well. You could put almost any card in that spot really, except for maybe Scornful Egotist or Zombie Goliath. Let's just say I really hate Sublime Exhalation... Anyway, I hope this helps! Cut words of worship, fellwar stone, tezzeret the seeker, liliana of the dark realms. Replace decree of pain with Sublime Exhalation. That's all I really see at the moment. Really appreciate the suggestions! I'll probably look to get my hands on Hour of Revelation, Fumigate, Tragic Arrogance, Supreme Will, Always Watching , and probably Insidious Will over the holidays.